Israel recognised South Sudan on Sunday, offering the new state economic help after it seceded from the mainly Arab Muslim north, which has no relations with the Jewish state. “I announce here that Israel recognises South Sudan,” Prime Minister Benjamin Netanyahu told his cabinet in broadcast remarks. 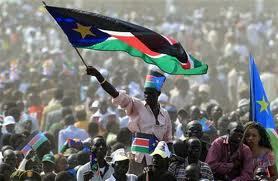 South Sudan, where most follow Christian and traditional African beliefs, declared independence on Saturday in line with a January referendum that was the culmination of a 2005 peace deal ending decades of civil war with the north. Israel is home to thousands of Sudanese refugees and migrant workers who arrived on foot after crossing the Egyptian Sinai.